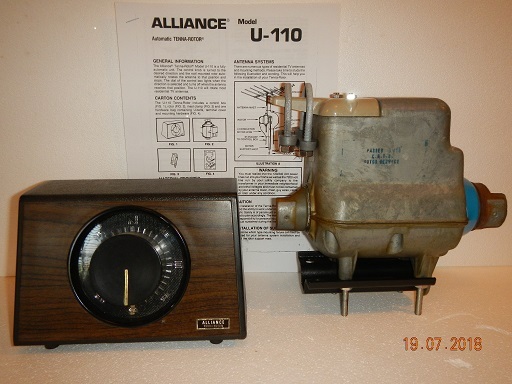 Alliance model U-110, rotator and control. Control cleaned and rotator reconditioned. Comes with all hardware and copy of owners manual.